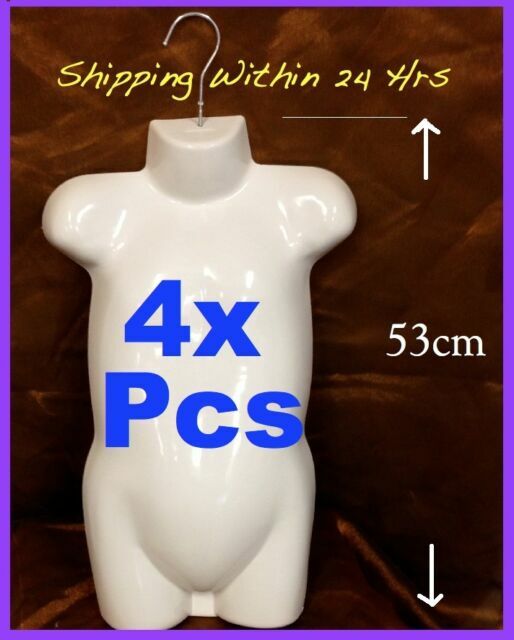 4x New Gloss Finish Hanging Mannequin Torso With Hook. Hollow back allows you to pin most sizes of clothing to fit the torso attractively. 52cm high, shoulder: 31cm wide, Chest:23cm wide,Waist: 22cm wide, Hip: 24cm wide.